Full of charm and natural beauty, Florida is home to an array of small town gems that are considered off-the-beaten-path destinations. Away from the crowds of tourists, these cities offer a rich history with Old Florida vibes and a slower pace of life. All with a population less than 3,000, these are the smallest towns in Florida you need to visit. 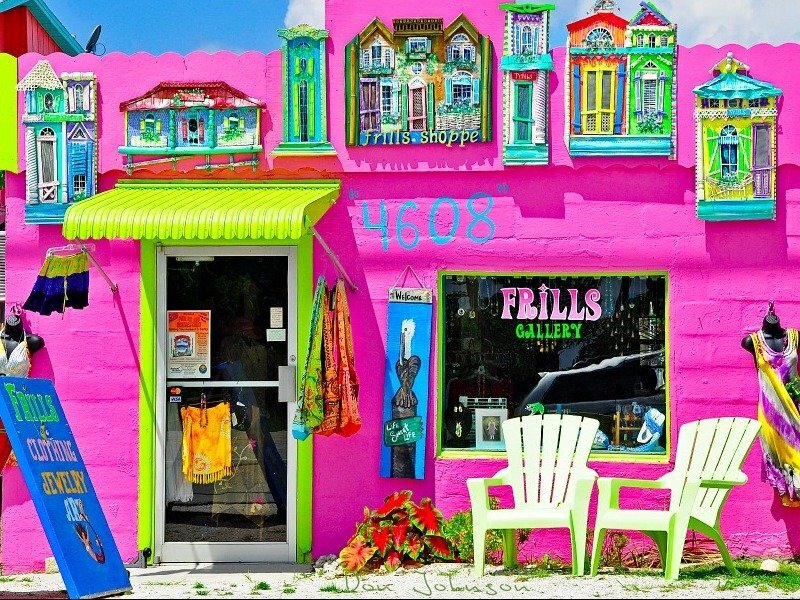 With less than 700 residents, the city of Matlacha is one of the most colorful small towns in Florida. A part of the Cape Coral-Fort Myers area, this coastal village is one of the five communities nestled on Pine Island. Delighting visitors with its burst of vibrant shop displays, this coastal village is home to free-spirited artists who have set up their candy-colored stores. Head to the Lovegrove Gallery & Gardens to find a technicolor botanical garden and local art displays, browse the historical exhibits at the MOTI – The Museum of the Islands, or visit nearby Pine Island for a slice of secluded paradise. One of the smallest towns on this list, St. Marks has a population of less than 300, but it makes up for its size with an abundance of alluring natural attractions. A waterfront village just 20 miles south of Tallahassee, this historic town was one of the important early ports in Florida on the Gulf of Mexico. Visit the archeological displays at San Marcos de Apalache Historic Park, experience the oasis of salt marshes and natural habitats at St. Marks National Wildlife Refuge, and snap a souvenir photo of the popular St. Marks Lighthouse, the second oldest light station in Florida. Nicknamed the “Town of Murals” and the “Caladium Capital of the World,” Lake Placid boasts nearly 50 colorful murals that adorn its downtown buildings and a set of larger-than-life residents. This town is not only known for producing 98 perfect of the world’s caladium bulbs but is home to a vibrant clown college that graduates 25 new clowns a year. With a population of less than 2,200, its walkable downtown area makes for an outdoor art gallery. 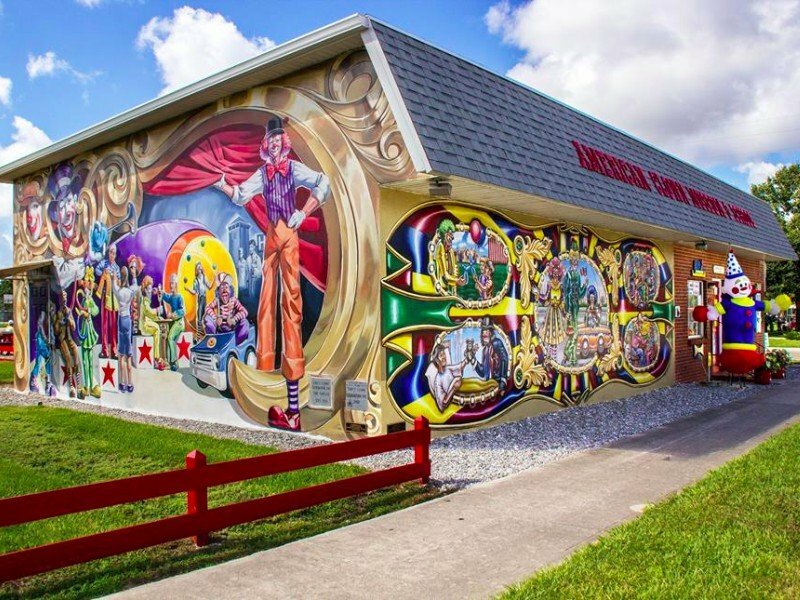 Just make sure to visit the American Clown Museum and School and to see a large collection of unique clown memorabilia. Dripping with small town charm, Cedar Key is an Old Florida jewel located on the Nature Coast with less than 700 residents. Only an hour’s drive southwest from Gainesville, here you’ll be greeted with a rustic ambiance and slower pace of life. Its beauty is undeniable, lined with mom and pop shops and fishing boats. An easy-to-navigate enclave, visitors can dine on tasty bowls of clam chowder, go out on a fishing excursion, or sunbathe on its lovely beaches. 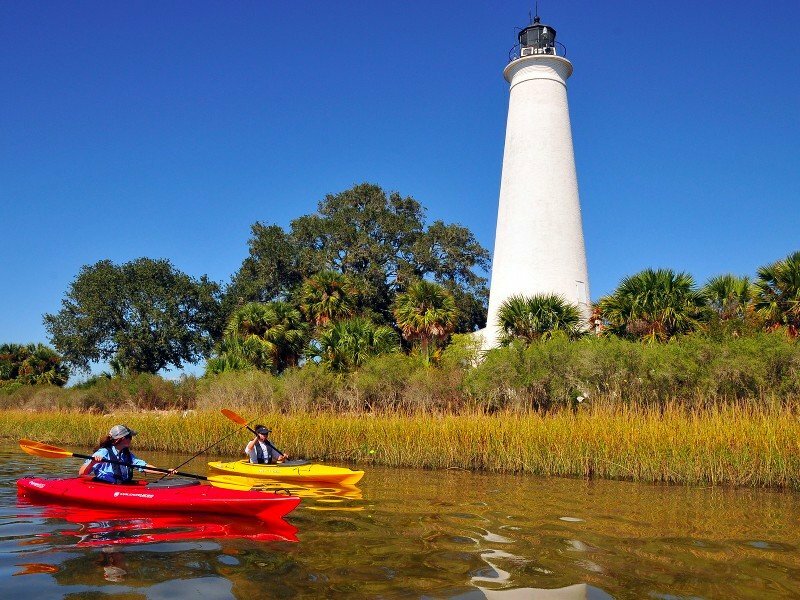 Discovered in the 1840’s by local settlers, visit the lighthouse that guided merchant ships in the 1850’s or spend the day at the Cedar Keys National Wildlife Refuge, an area that President Hoover established in 1929. 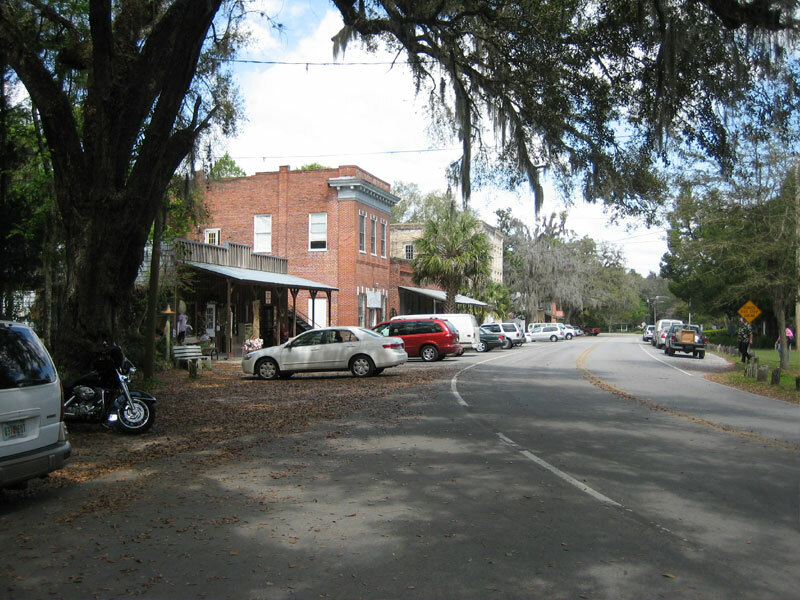 Nicknamed the “Little Town That Time Forgot,” Micanopy is home to a historic downtown area lined with rustic shops and just 600 of the friendliest locals you’ll find in the Sunshine State. 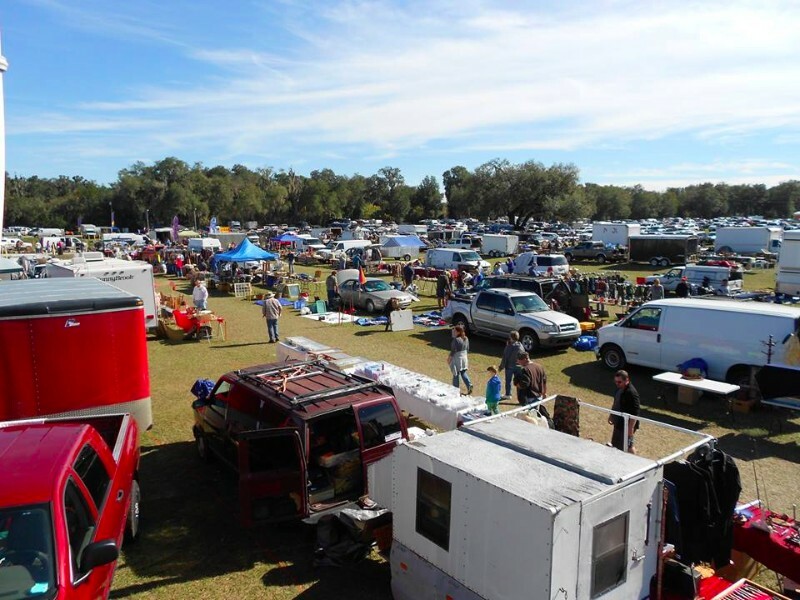 Considered the tiny jewel of Alachua County, it is the oldest inland town in Florida, where its Old Florida setting preserves its historical heritage of Seminole Indian inhabitants. A self-proclaimed antique capital, you’ll also find plenty of greenery to explore after you’ve done your souvenir shopping. Nearby Paynes Prairie Preserve State Park offers you the chance to see bison in the wild, where you can also catch a glimpse of the wild horses from its 50-foot-high observation tower. Nestled along the Suwannee River, White Springs is about an hour west of Jacksonville. A mix of rural scenery and natural beauty, here you’ll find old Victorian homes, antique shops and mossy oaks that line its historic district. With a population of less than 800, its history dates back to ancient North Florida Indian tribes that believed the springs had magical healing powers. Nature enthusiasts will particularly enjoy a trip to White Springs, as the river offers opportunities for boating, fishing, canoeing, and diving. 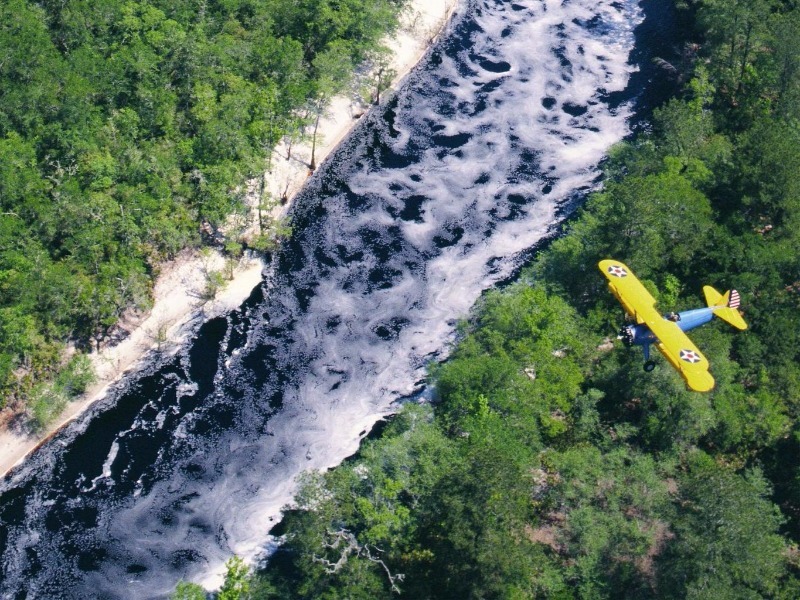 See the 97-bell carillon and miles of trails at the Stephen Foster Folk Culture Center State Park or brave the thrilling Class III Whitewater rapids at Florida at Big Shoals State Park. 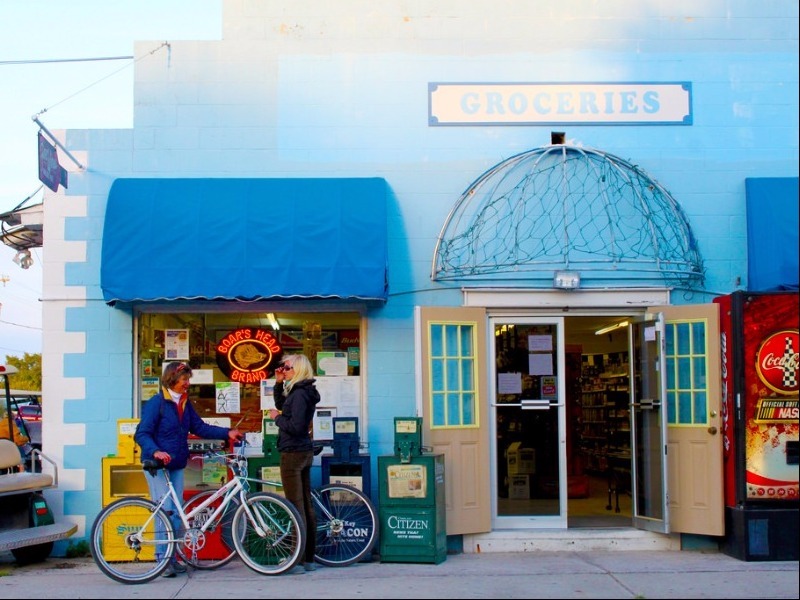 Not just a fun word to say, Sopchoppy is a small town in Florida that offers a quintessential look at rural Florida. With less than 500 residents, this small town gem is located near the Gulf Coast on the edge of the Apalachicola National Forest, only 45 minutes southwest of Tallahassee. 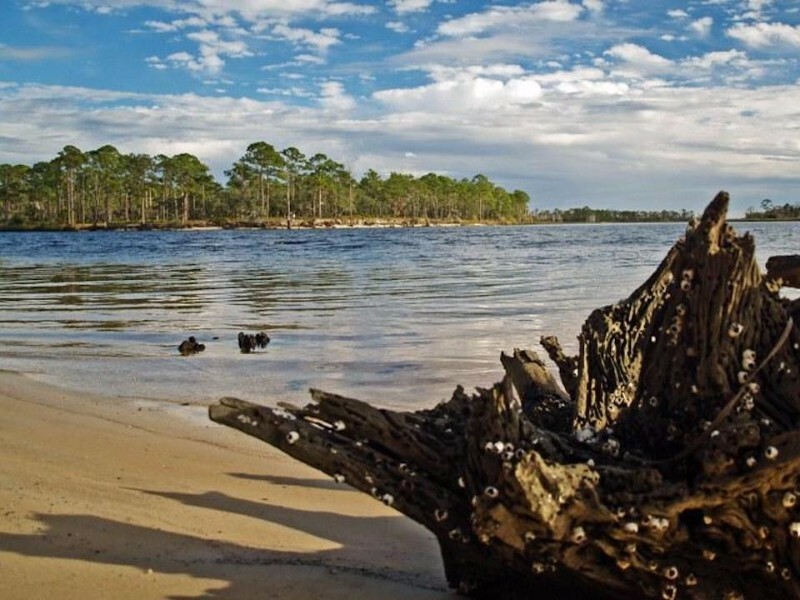 Head to Ochlockonee River State Park for a weekend of boating, fishing, and camping. If you time your visit right, attend the annual Worm Gruntin’ Festival. Nicknamed the “Worm Gruntin’ Capital of the World,” Sopchoppy is home to experts who compete in grunting, a technique to make earthworms come to the ground surface to be collected for fishing bait. Less than an hour’s drive from Panama City Beach, Mexico Beach sits on the edge of the Gulf of Mexico in Florida’s Panhandle. You’re miles from anything else, which means that you can enjoy the city’s humble slice of paradise. 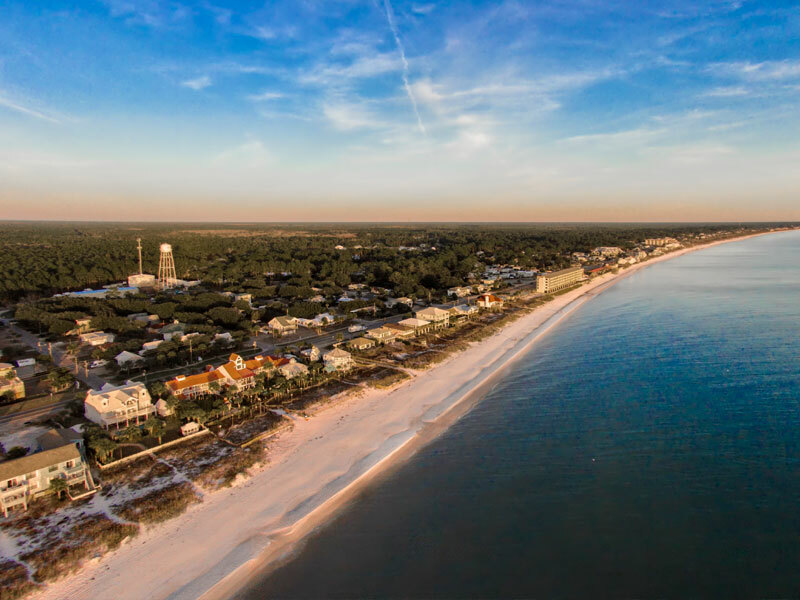 Boasting easy-going vibes, the population here hovers around 1,200 residents, where you won’t find high rises and traffic lights, instead, you’ll encounter white sand beaches, welcoming locals, and plenty of opportunities for a day of swimming, kayaking, and shelling. 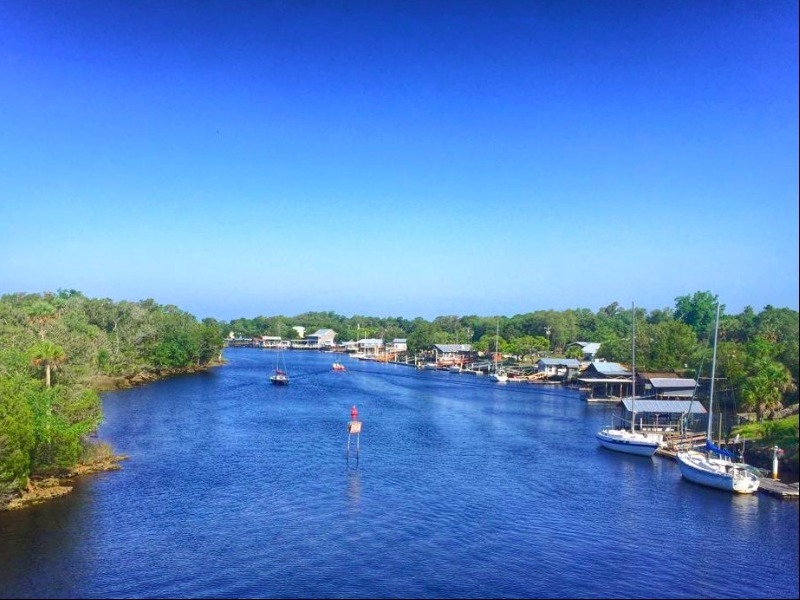 With a population that hovers around 1,000 residents, Steinhatchee has been billed the gateway to Florida’s Nature Coast. A charming fishing town in the Big Bend region, here you’ll find quaint landscapes of Victorian homes that are nestled under towering live oaks covered with Spanish moss. Attracting nature lovers who enjoy miles of quiet country roads, here you’ll find diverse wildlife and abundant fishing opportunities. Its stretch of white sand beaches and lack of resorts make it an attractive option for those seeking a laid-back vacation, where you can take a sunset cruise of the area, pedal through town on a bicycle or rent a pontoon boat to see the area’s untouched nature up close. Shopping lovers unite, as the small town of Webster offers an astounding 35 acres of weekly open air markets. A haven for bargain shoppers, the town’s small population of less than 1,000 can swell up to 50,000 every Monday when visitors flock to its streets to attend its popular markets. A combination of a massive flea market and farmers market, here you’ll find over 2,000 spaces and 1,500 local vendors selling a variety of goods, from produce to electronics, hardware, and crafts. Cross the street to Webster WestSide to look for valuable treasures amongst over 500 antiques and collectible dealers.